Is it possible that our minds are so full of plans and stories that we don’t notice what us around us? So the ‘plan’ of this time is to become more curious and develop a greater interest for this vibrant living world that lives within reach, within sight of us. There will be times for meditation and for developing stillness of body and mind, giving rise to mindfulness of the interconnectedness of life. We will focus on the living (wondrous) nature of plants, in particular. Just bring your natural curiosity and interest in life and the willingness to expand both. Amongst the wild tangled sprawling weavings of this earth’s ‘cloth’, and the attempts for order, there’s a natural orderliness. There’s an intricate interconnected ‘plan’ of beauty and magic, waiting for some eyes with mindfulness to rediscover. This is a time to remember, the putting together and rejoining, of one’s own interconnectedness to the wholeness of life. 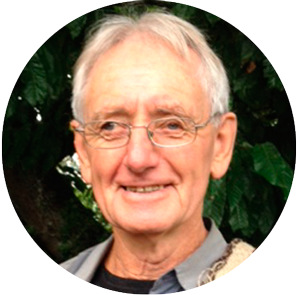 John has studied herbs and wild plants for over 40 years, initially from the perspective of the benefits for health, food and medicine. While this knowledge is invaluable, the realisation after many years, is that the ability to ‘see’ and ‘know’ nature ‘feeds’ him far more than what he eats. John’s main work is in guiding people to connect with nature in more mindful ways. Plus Dana (donation) to John for his facilitation.